Are you looking for the perfect Christmas gift for your gearhead mate? Or maybe you’ve decided your car needs a fresh coat of paint so you’re going to treat yourself to a pre-Christmas present. Whatever your reasoning, you’ve come to the right place. After purchasing a gift from Bodyshop Paint Supplies Bayswater, you’ll have everything you need to make your car look as good as new. Can’t decide what to buy for Christmas? A Bodyshop Paint Supplies Bayswater gift card is the perfect gift and is available in any dollar amount. Nothing says Christmas and the New Year better than a freshly painted car. While you and your mates are enjoying some time off over the holidays, why not buy them some custom automotive car paint, so you can embark on a DIY project together. We’ve got standard automotive paints, touch-up paint and car spray paint in stock, all from the best brands. Plus, our colour matching services will ensure you get the right colour for the vehicle in question. 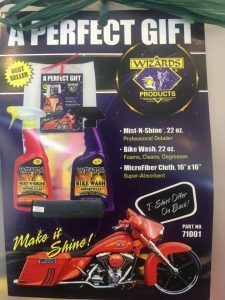 If you’re in the market for an automotive paint spray gun this Christmas, our quality spray painting equipment will make you think Christmas has come early. Whether you’re buying for yourself or someone else, our staff will be able to help you find the perfect paint spray gun for Christmas. With an extensive range of polishes, compounds, waxes and all of the car detailing products you could possibly want, our Bayswater-based showroom has gift solutions for stocking fillers, Kris Kringle, and of course, the ultimate presents for under the tree on the Christmas morning! Hire a spray booth and treat your car to a new coat of paint for Christmas. Our low bake car spray booth is an affordable way to restore your car’s showroom shine, and even though our booth is DIY, we still have technicians on-site to assist you with any of your queries. For all of your car detailing supplies Melbourne, come and visit the guys at Bodyshop Paint Supplies today!